Argentinian SMEs will benefit from a US$55mn loan that the International Finance Corporation (IFC) is providing to private bank Bind Banco Industrial. More than 70% of Argentina’s SMEs have difficulties accessing financing. Through this funding the Bind Banco Industrial will be able to offer SMEs longer-term financing than currently available in the local market. “With IFC’s partnership, we will strengthen our support to SME clients, which represent our main market segment,” says Javier Popowsky, the bank’s CFO. Bind Banco Industrial has a strong focus on SMEs, mainly in the agribusiness, services and manufacturing industries, as well as wholesale trade. It became an IFC client in May 2018 when it joined IFC’s global trade finance programme, which facilitates trade flows through guarantees and includes a network of more than 70 banks in Latin America. 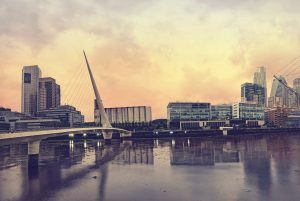 “Bind Banco Industrial has a solid track record supporting smaller businesses in Argentina, and with this new funding we want to help the bank extend the tenor of its lending to SMEs,” says David Tinel, IFC regional manager for the Southern Cone. “Longer-term credit is crucial to plan, seek growth and hire new employees.” Over the past 18 months, the IFC has committed approximately US$1.7bn to support sustainable private sector projects in Argentina. The post Argentina’s SMEs to get better loan terms with new deal appeared first on Global Trade Review (GTR).